At Bradford Cathedral a few years back I got up and played with Ian Anderson, which was incredible. This is my favourite Tull album. It's the iconic Tull album – it's his Sgt Pepper; his Dark Side Of The Moon. He doesn't think so though [LAUGHS] He thinks he's made better records. 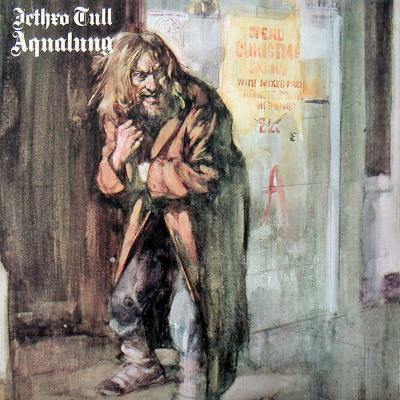 But Aqualung had already been in my DNA for seven years by the time I got a copy. My mate Nigel used to play this – round the corner from me in Sheffield – he'd play it to me for bloody years. I loved the fact that Ian Anderson was weird looking, not your typical rock star - mad hair, and the flute and the standing on one leg thing - just brilliant. He also had this amazing folksy quality to his voice. I still play it all the time. In fact, anything on this list I still play constantly.